"A great drink for orange lovers, and a fun way to cool off! 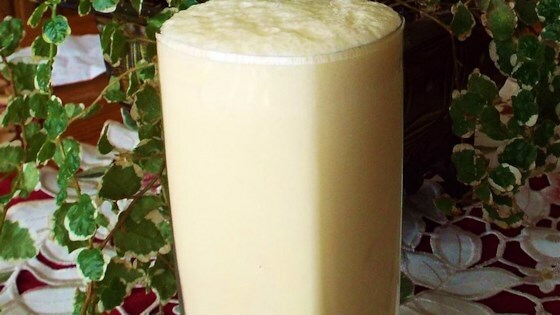 Orange juice concentrate is blended with milk and ice to produce a tasty slushy drink!" I thought this was fairly average. I liked the frothy texture, but taste was average. It's not a recipie I would use regularly. Yum! This was great. I love how it was a bit fluffy, and very light. I used skim milk so this thing was totally guilt-free. Delicious. Will make again.